Is there a way to restore my macbook to look new? 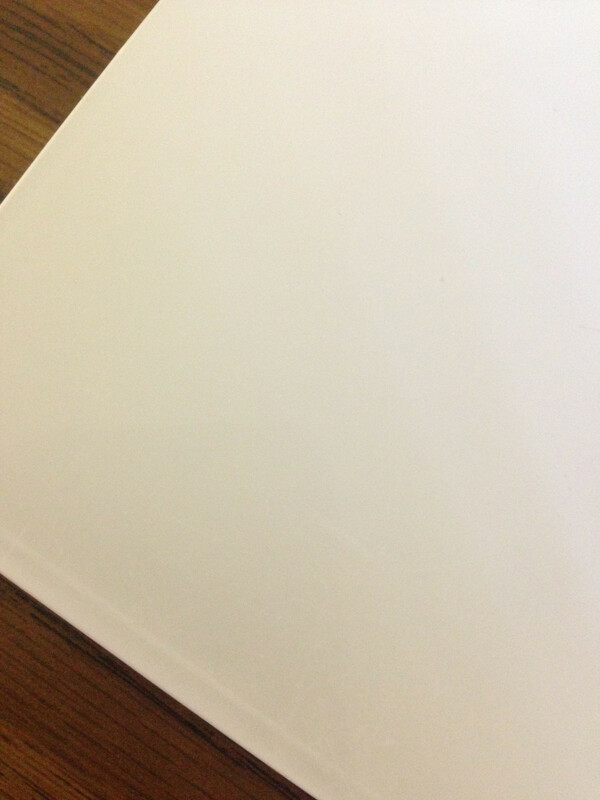 Discussion in 'MacBook' started by AppleFanatic10, Oct 14, 2013. Besides that it works pretty good. It's still fast and the battery has like 84.9% capacity left w/562 cycles. The cracked bottom casing might be covered by Apple, even without a warranty on it still. I would take it in. The cracks around the hinges are an original design effect and apple will replace the lid/ screen assembly free of charge. I took mine in back in june and had my lid/ screen assembly replaced and 4 months on it's still crack free and looks as good as the day I bought it. 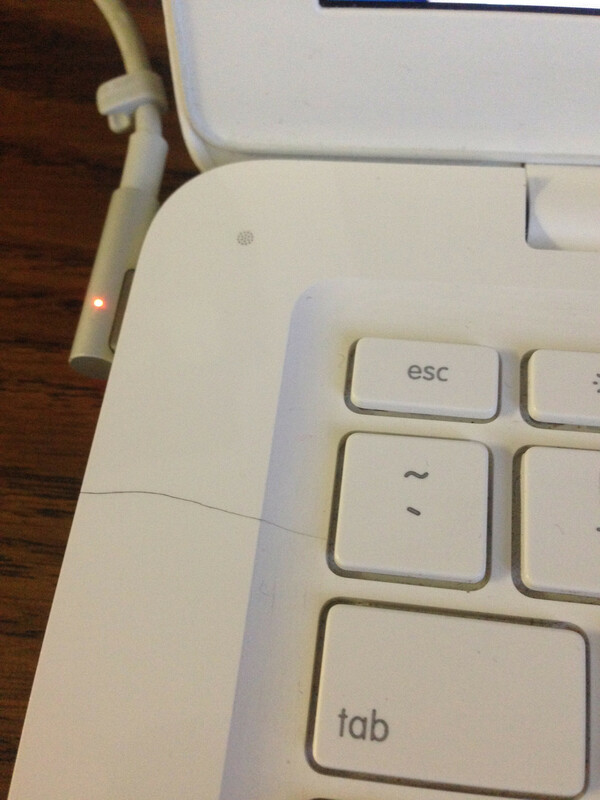 As for the crack near the charging port, i'm not sure if apple covers that, but if you book a genius bar appointment for the hinge cracks, they might replace the top case too at the same time but thats not an absolute given, depends who you get served by on the day. Thanks! I made an appointment with the Genius online for this Wednesday. I'm hoping they replace it because now the lid is crooked when you close it. I'm not sure if that's because it wobbly or what. The bottom case most likely won't be covered by the lid will be swapped out for sure. I've had mine replaced no questions asked. So I took it to the apple store and they said the whole thing was covered. Otherwise it would've cost me $214 total. Which is something that I don't have as a poor college student. I'm happy lol. Good to hear! For future reference, I believe they will continue to cover problems, such as the one you posted in your initial post, for 5 years after the production date of your MacBook. Thank you! 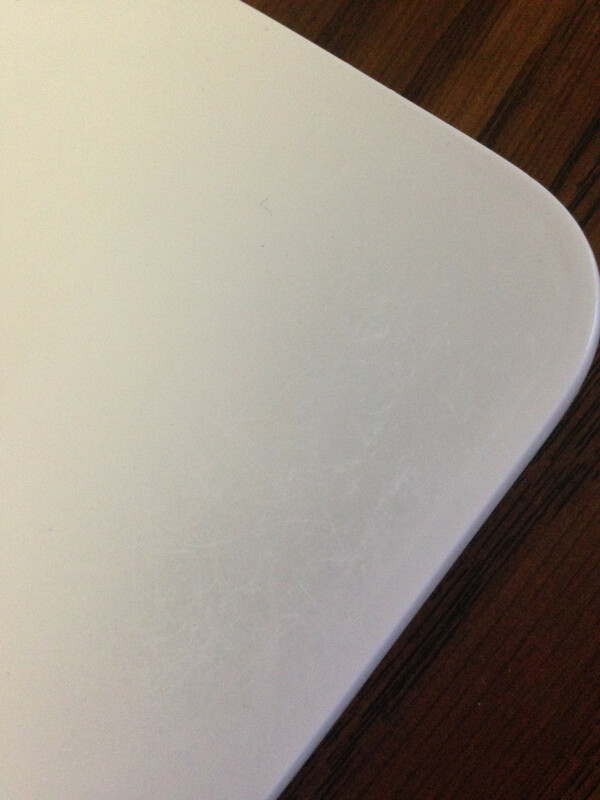 I have a question, should I buy a moshi palmguard for my MacBook to keep the palmrest clean? I already have a hard case/ keyboard skin and traveling case. I've never personally used one of those, or even have owned a white MacBook (but I do love the looks of them , but that palmguard looks like it will help protect that area from cracking and getting worn. I'd go for it if I were you.